Cab-hailing firm Ola is likely to shrink its loss sharply this fiscal year and earn a net profit of as much as Rs 5,996 crore ($930 million) in the year through March 2021, its fair valuation adviser has projected. Jain Ambavat & Associates, the audit firm Ola hired to assess its valuation, also estimated the taxi aggregator’s enterprise valuation at a tad below $4 billion in March, before the company raised fresh capital from investors. Ola, operated by ANI Technologies Pvt. Ltd, had reported a consolidated net loss of Rs 2,311.7 crore in 2015-16 compared with Rs 796 crore the year before as costs tripled. It had posted a seven-fold rise in operating revenue to Rs 438.6 crore. Ola hasn’t yet filed its financials for 2016-17. But Jain Ambavat’s valuation report that Ola filed to the Registrar of Companies estimates the company making an operating loss of Rs 2,885 crore and a net loss of Rs 2,988 crore in the year through March 2017. Operating loss is projected to narrow to Rs 989 crore in the current fiscal year, and the company is likely to post an operating profit of Rs 950.5 crore next fiscal year, the report showed. In 2019-20, Ola is projected to post an operating profit of Rs 3,709 crore and a net profit of Rs 3,023 crore. These numbers are projected to double in 2020-21, to Rs 7,357.46 crore and Rs 5,996 crore, respectively. The valuation report by Jain Ambavat was part of the procedural documentation required before Ola raised $1.1 billion in October from investors including China’s Tencent and Japan’s SoftBank Group. At the time, Ola had said it was also in advanced talks to raise another $1 billion. The audit firm arrived at these projections on the basis of Ola’s audited financial statements for 2015-16, provisional financial summary for the period ended 28 February 2017, financial projections from 1 March 2017 to 2021 and inputs provided by Ola on its business operations as well as secondary research. The report puts Ola’s enterprise value at Rs 25,615.92 crore ($3.95 billion) and the fair value of each share at Rs 13,520. This means Ola’s post-money valuation jumped above $5 billion after the October fundraise. The report didn’t specify how Ola would turn around in such a short time. Ola didn’t respond to email queries seeking information on its turnaround strategy till the filing of this article. However, Ola co-founder and CEO Bhavish Aggarwal had said in April this year that the company would turn profitable within two years. A few indicators in the recent past show Ola may indeed be seriously working towards that objective. In June, RedSeer Consulting reported that Ola and main rival Uber had reduced driver incentives significantly in the first quarter of 2017. Both ride-hailing firms also registered an improvement in unit economics, although bookings dropped. Meanwhile, The Economic Times reported that Ola’s largest investor, Japan’s Softbank Group Corp, may pick up half of Tiger Global’s 15% stake, valued at $600 million at Ola’s current valuation. However, an industry executive in the know of things told VCCircle that SoftBank currently holds a stake of around 24%-25% in Ola while Tiger Global owns 12%. So, the deal would take SoftBank’s estimated stake to around 30%. Earlier this month, VCCircle had reported that Lee Fixel, Tiger Global’s managing partner, had resigned from the board of Ola. Tiger Global’s stake in Ola has fallen due to its non-participation in the company’s recent funding rounds. 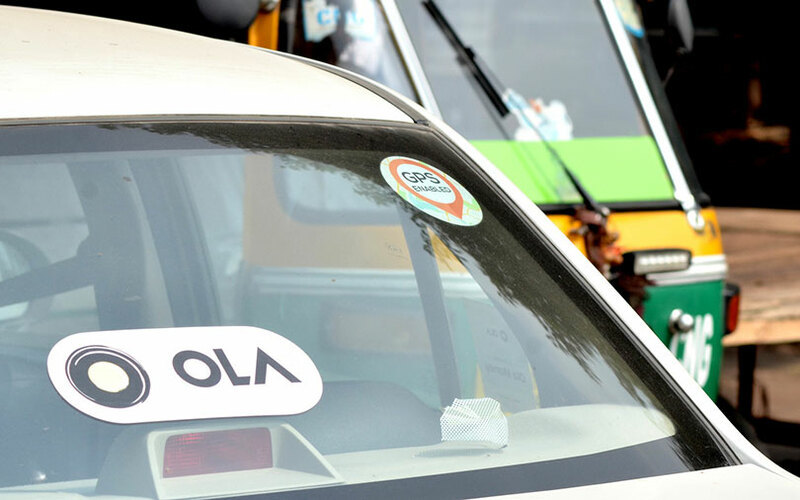 The US-based hedge fund last participated in a funding round for Ola in November 2015. Ola has since then raised an estimated $1.5 billion.